The importance of choosing the right service provider to maintain your BMU Alimak Service have worked with some of the tallest and most intricately designed buildings across the world to ensure their exteriors are kept in pristine condition for a lifetime. As such, our machines are built to service your building for the duration of its lifetime, and we offer a range of maintenance packages to ensure our BMU products work optimally. 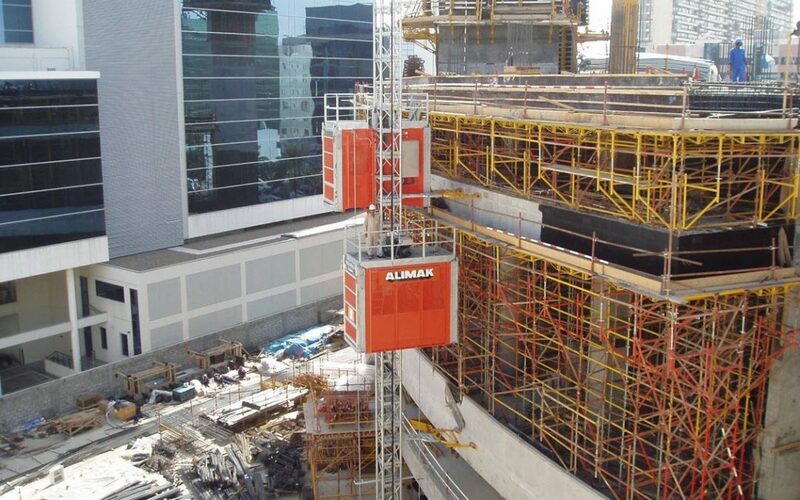 Alimak service designs, manufactures and installs a wide range of building access solutions for hundreds of buildings worldwide. As such, we offer flexible service packages that target specific needs in relation to scope, schedule and finances. These packages cater to various levels of service comprehensiveness and depend on each individual situation. Our Comprehensive Maintenance package is designed to sustain the condition of the machinery throughout the course of its life. The comprehensive package covers the machinery for servicing, breakdown, and limited repairs under normal working conditions. A key benefit of this package is the ability to allow specific budgeting for machinery maintenance, as well as a scheduled management of the equipment. A preventative maintenance program allows us to protect machinery from unnecessary wear, damage or malfunction with regular maintenance. Impromptu Service Our Impromptu Service package allows adhoc, as needed one-off servicing, repairs or condition inspection reports. Typically, this service is employed for machinery outside of our portfolio, where equipment can be disruptive and require specialised, short-term services. Over the past 60 years, we’ve kept detailed records of almost all of the machines we’ve designed, built and installed. This means we can use this information to replace or remanufacture worn or damaged machinery components. It is not unusual for Alimak Service to step in to find a solution to damaged equipment that was produced by now defunct manufacturers. Our mechanical, electrical and structural design teams can work with you and your existing machinery to develop solutions for damaged equipment. Our experienced project management team can plan upgrades to equipment without disruption to the building, and replace your rooftop BMU system without the need to implement the original building tower crane. With over 60 years in the industry, the team at Alimak Service have the experience and expertise to repair, service and upgrade equipment both within and outside of our extensive portfolio.